A divided Iowa Supreme Court has reversed the conviction of an eastern Iowa man who was arrested after a routine traffic stop, in a case that could impact how police conduct stops. Eldridge police officer James Morris was randomly checking license plates for stolen vehicles in August of 2014 when he saw a car that was registered to a woman who had a suspended driver’s license. The officer couldn’t see if the driver was a man or woman and pulled the car over. Jayel Coleman was driving the car and told officer Morris he had borrowed it from his sister. Morris asked for Coleman’s driver’s license and determined he was driving while barred. Coleman appealed his conviction for driving while bared, saying the officer had no reason to question him. The district court and appeals court ruled against Coleman. Justices Thomas Waterman wrote a dissenting opinion which justices Edward Mansfield and Bruce Zager joined. Waterman’s opinion says he would have not have moved to suppress the evidence against Coleman. He says, “Until today, a police officer who lawfully stopped a motorist could ask to see his or her driver’s license, especially when the officer knew the driver was not the car’s registered owner. Almost all Iowans, I believe, would find this activity completely unobjectionable and, indeed, mundane. But not the majority.” The dissent says the ruling now makes the routine step of asking for a license and registration illegal search and seizure under Iowa’s Constitution. The dissent says Iowans who get pulled over expect to show their driver’s license to the officer as it helps law enforcement get dangerous, illegal drivers off the road. It says the majority fail to mention the reason that Coleman had been barred from driving. 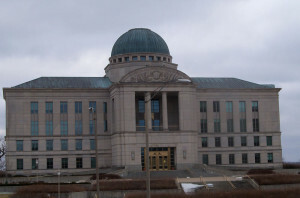 He had four prior convictions for driving while barred, two prior convictions for driving while suspended, several narcotics convictions, and notably, a conviction for second-offense operating while intoxicated (OWI) committed two days before the office in this cases pulled him over. It says in this case “the majority gives Coleman a free pass,” and says habitual offenders stopped under similar circumstances will now be able to driver away without an identity check. Waterman goes on to say the “majority goes out of its way to connect this case, at least implicitly, to racial profiling. This is hardly the case to impugn motives of Iowa law enforcement.” He says there is no indication or claim by Coleman that the officer pulled him over because of his race.